State of the art, easy to use and 100% reliable. With the Montr Emergency button application, employers offer their employees the best solution for a safe working environment. Emergency button which is connected to the smartphone and really easy to use. This emergency button is always on and can be used for up to six months without having to recharge. "Plug and play", always ready for use. 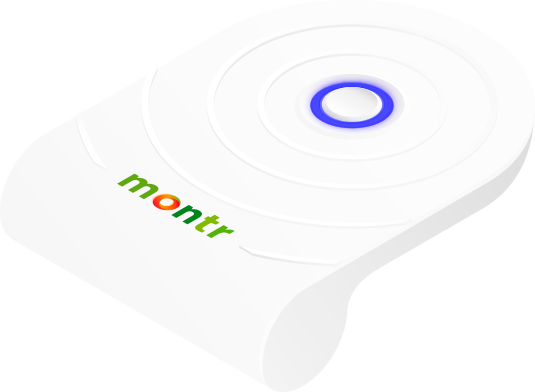 The Emergency button is automatically connected via Bluetooth to the Montr Emergency button app on your smartphone. This app is available for all smartphone versions - iPhone, Android and Windows mobile. 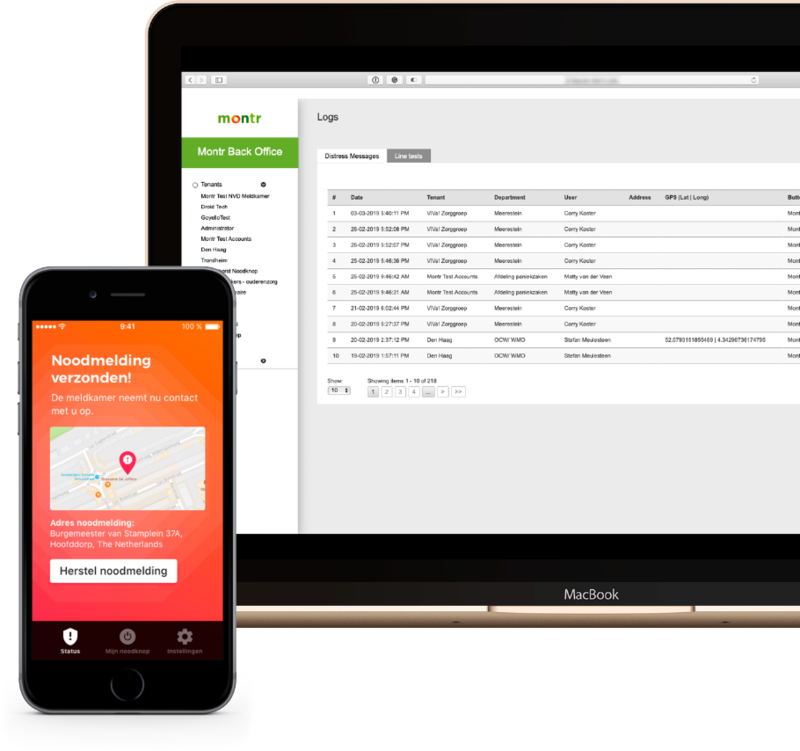 In addition, Montr has a management system that forwards the emergency reports directly to the desired alarm center for immediate alarm follow-up. The Emergency button was developed from the start in close consultation with the end users. This has enabled us to design an instrument that can be seamlessly integrated into daily activities at work. Employees often do not want to be confronted with possible insecurity every day. They just want a tool that is reliable but which they don't have to constantly look after. It is an extremely reliable solution. We offer coverage in the most challenging circumstances, but also offer a very accurate address determination. Alarm handling is also very detailed with an action protocol that is tailor-made for each employee. 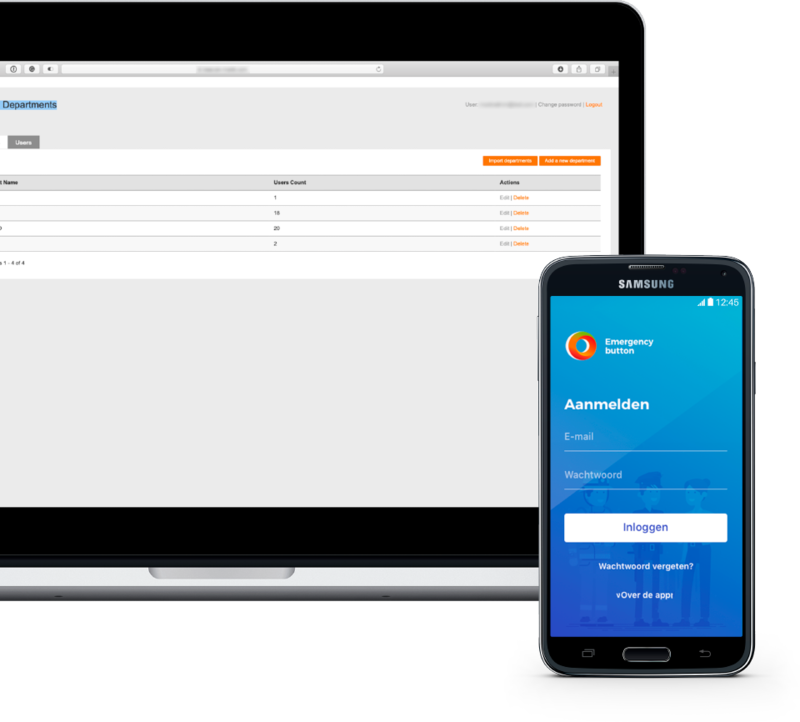 The Emergency button is seamlessly integrated into the daily activities and is of course "privacy proof"
When the employee is going to visit a specific address, he or she will open the app, the emergency button connects automatically. They only have to enter the combination postcode - house number and one can safely visit the address. Employees who do not visit a specific address do not have to enter an address because a very accurate GPS position is fetched during the emergency notification. When an emergency notification is made, the control room receives an extensive emergency notification within a few seconds. The Emergency Report consists of the name of the employee, department, 06 number, GPS location of the emergency report and the location of the home visit, with the entered. Every part of the application has been developed in-house. High tech proudly made in Holland. Safety and reliability because we are not dependent on third parties. We can determine our own quality standards. We use European hardware components of the chipsets and all of our data is processed on servers in the Netherlands. 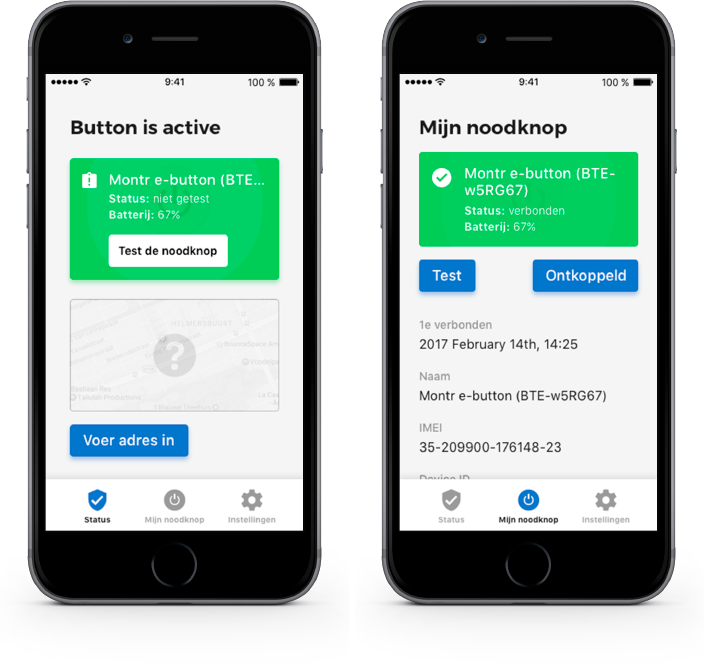 We are one of the first companies in the world to integrate the new Narrowband (NB) IoT technology in its emergency buttons. 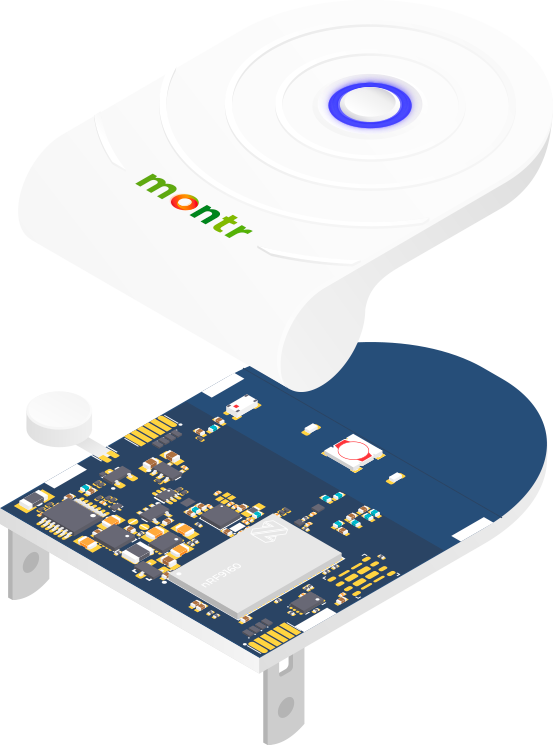 This Narrowband IoT technology offers an unprecedented coverage in the most challenging locations such as basements and in rural areas. We work closely with well-known technology parties such as Nordic Semiconductors and Vodafone. 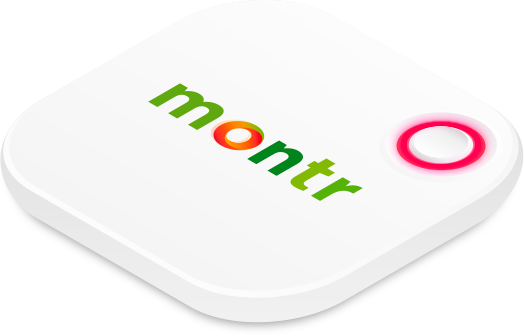 The Montr Safety Solutions platform will be further developed step by step in the coming years. Are you interested in a specific application for your work area? Let us know, we look forward discussing this in more detail.